Be advised that, in order to receive new lobby invites, you will need to restart the client after every match. Star Marine Leaderboards are not in-game this build. Our planned Electronic Access improvements for sequential map loading (“mega map”) are not in this build. Scan is not complete, please refrain from using it (“Tab” key on default keybindings). Flight Balance Changes to include Acceleration, Afterburner, Boost, Fuel Rates, and Jerk are ongoing. New! Combat Visors have a chance of not showing up in some ships. Fixed a number of client and server crashes in Star Marine, Crusader and Arena Commander. Fixed a number of issues causing error code 30000 and 10002 for players. Fixed a number of issues with the Caterpillar MFDs. Fixed an issue with the hands of a Reliant pilot going through the flightsticks. Fixed an issue where Afterburner and Boost would continue after fuel had run out. Fixed some missing audio with the Starfarer. Improved the performance of Chaff Countermeasures against missiles. Fixed Rikkord Memorial and Defford Link race maps so they are no longer caught on a loading screen. Fixed a number of issues with the new frontend UI. These include a number of lobby crashes and numerous graphical issues. So thats kinda gameover for me atm, yes im very salty right now. i just spent 10 - 15min trying to kill a pirate on one icc mission i was pretty close to just leave the game right there and then. I don't know if it's the new flight changes or if they have done something with the laser weapons on most ships. becouse 2.5 you could easily wreck most things in a super hornet. now i don't seem to make a dent. so for me 2.6 is a pvp update first and foremost. im a bit torn tbh. stability wize. it's alot better then L patch. Well, you can always figure that balance is probably a pretty low priority, as long as it's playable then it's not super important. Obviously we'd like for it to be decently balanced, but, we'll see. If the lasers work okay against players, it's probably not a balancing issue but a bug, especially if npc gear is not the same stats as player stuff. There's probably a number been missed somewhere. Vyla and Tyvokka like this. anyone read the mail from CIG about them changing engine from Crytech to Amazon Lumberjack/mil? 2.6 has been released with that im posting the 2.6 development log here for us to keep a record of past updates. We are still in tests with Evocati for 2.6.0, and have been getting loads of great feedback from them. The bug fix rate is remaining consistently high and is storming along. We are awaiting fixes for a few final issues before we start a new build for tonight, this will be a candidate to go to the Evocati, and if reports for this build are good over the weekend, we would aim to push this to the PTU on Monday. As we near releasing to a full PTU, and eventually Live, we want to give an overview of how the team is progressing in their bug fixing. 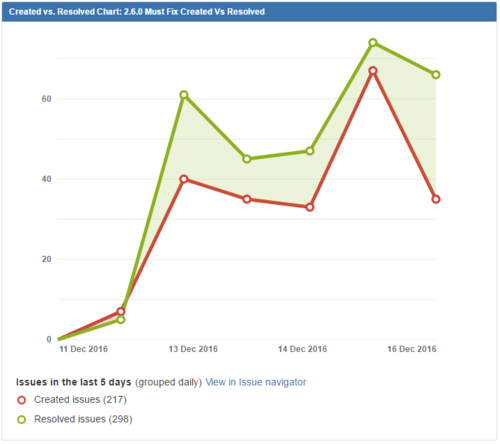 This image shows a Created versus Resolved chart for our “2.6.0 Must Fix Issues” over the last 5 days. The cumulative total is showed at the bottom of the graph, while the data points in the graph shows progress each day. NETWORK – MESSAGE ORDERING - The work was originally checked in to 2.6.0 and was part of the builds on the early Evocati pushes. However we quickly discovered that it was causing some nasty client crashes, so it was deemed better to remove this code for now and continue developing it for a future patch. MEGA MAP (STRETCH GOAL) The Mega Map feature is now being pushed out of 2.6.0 due to the remaining time we have, the length of time needed for the remaining work, and also due to the risk of affecting stability at this point. Development of the feature will continue, but will instead aim for a patch in the new year. This was a very ambitious feature and involved writing a whole new section of Network code, converting over 50 sets of gamerules to work with the new system, and altering thousands of lines of gamecode. With support needed at various points from the Engineers who were already involved with supporting other features, bug fixing, and the November Live Stream, this was just too much of a risk and unknown to implement for 2.6.0. SPECTRUMThe early web-only version of Spectrum is being tested by Evocati. I hope they can keep on top of it this time! im with ya, but at the look of things, people where right, 3.0 is starting to look like it's getting a summer release date. 3.0 scedule update to go live today, thread will be updated as soon as the scedule page is updated. stay tuned! Redshift, Clockwork, Damocles and 1 other person like this. Maki and Damocles like this. It's on like Donkey Kong!! REPORT UPDATED!! Updates across the board as well as expected pipelines out til the end of the year. 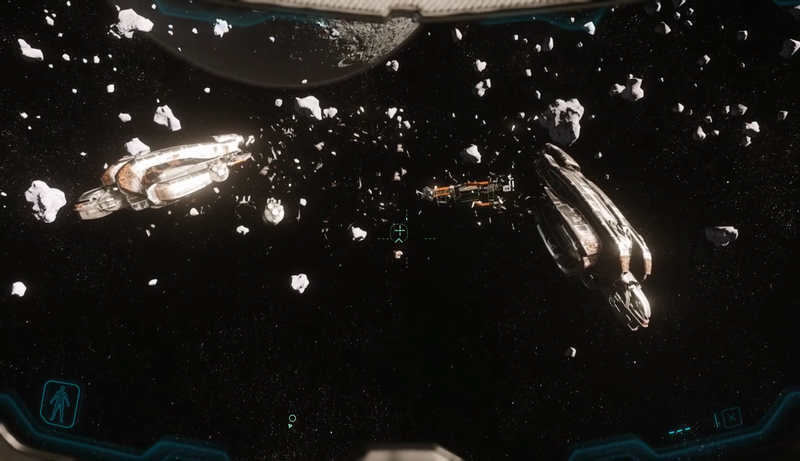 Major things of note... other than, well everything, more ships getting pumped out and work is ongoing on the 890 jump. 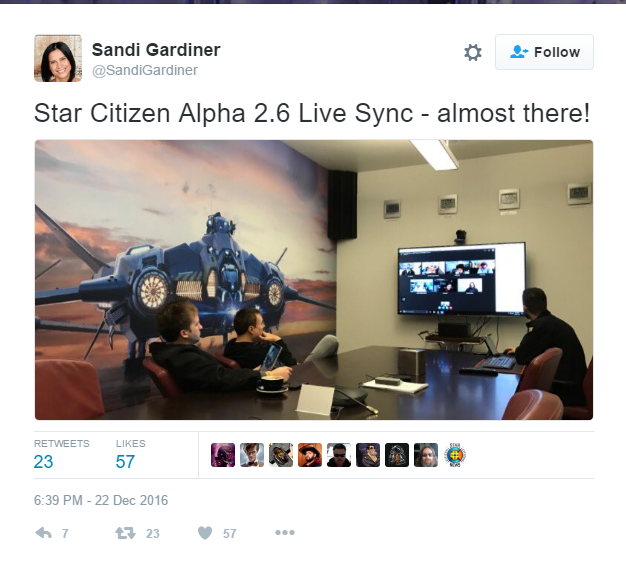 Lots of variants expected by year-end, including all Constellation and Freelancer and a few Vanguard. I'm half tempted to download that chart at the end to see how things progress.. that chart is hecka-important. first update pass on thread done. due to the amount of features ive only put the feature and when its ETA is due. no information about each feature at this point. Cheers, happy to do it, great way to keep track for myself as well on how the progression is going.